It can seem hard to snack if you’re trying to be healthy or watch your weight, but something you can have without feeling guilty is granola! Granola is quite popular due to its high nutritional value, and when consumed in combination with dried fruits, milk, or yoghurt, it can help relieve constipation as well. Although, with so many choices on the market, it can be hard to select one, after reading this article you will easily be able to choose the right one for yourself. 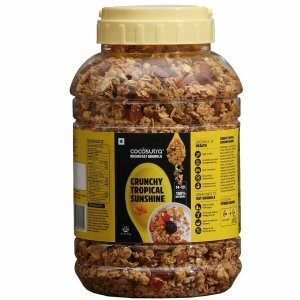 We will not only discuss how you should choose granola, we will also include a list of top 10 granola you can buy online in India. One of the best things about eating granola is that it is rich in nutrients, especially in terms of fibre and iron content. Depending on the ingredients, it can also be rich in healthy unsaturated fats, which are also quite important for the body. However, with so many different types of granola on the market, it can be difficult to know which one is actually healthy and which isn’t. Let us discuss what you must keep in mind when buying granola products. If you’re wondering what ingredient could be the healthiest option as the main ingredient, it is oatmeal. Oatmeal is made of rolled oats and is a type of flattened grain. However, in comparison to other grains, such as rice, it has a much higher nutritional value as it contains a high amount of dietary fibre. 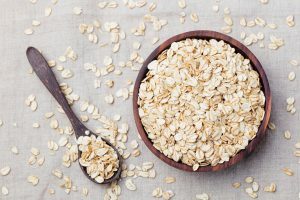 If we were to compare the same amount of rice and oatmeal, oatmeal would be 20 times higher in fibre content with twice the amount of iron, and five times the amount of calcium. Therefore, it can help with intestinal homeostasis, control hyperglycemia, lower cholesterol, and increase iron and calcium intake. If granola didn’t have any other ingredients aside from oats, then it would simply be called oatmeal. Which is why most granola contain other ingredients, and we must make sure that these ingredients are equally healthy as well. We recommend choosing a one with dried fruits and nuts as they increase the nutrition quotient. Dried fruits such as raisins and dried apricots are a great source of vitamins B and A, which make the body less susceptible to fatigue, and helps fortify the immune system, respectively. Nuts such as almonds and cashew nuts provide vitamins E and K, as well as mineral like magnesium and zinc, and keep the body healthy. 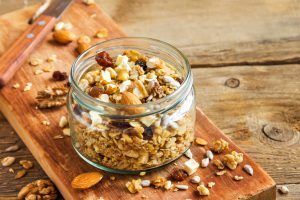 Although granola is marketed as a healthier alternative to other types of cereals or snacks, you must check the list of ingredients to make sure that the granola you’re buying really is healthy. It is extremely important to check what sort of sugars and oils have been used, and in what quantity, to know if a product is actually healthy. In case, the list of ingredients includes sugars like corn syrup, molasses, and cane sugar; or unhealthy oils like palm oil, hydrogenated oil, and vegetable oil, then you should consider choosing another product as such ingredients can be really high in calories and saturated fats, making the product quite unhealthy. 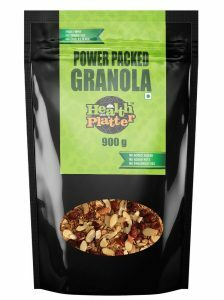 It is now time for us to reveal our top 10 recommendations for granola you can buy online in India. Although this list is based on our “taste,” we hope you will be able to find something that suits your needs as well. 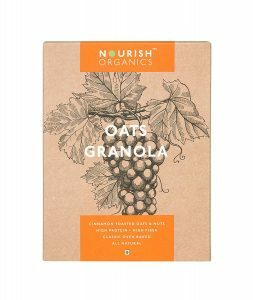 This granola has both oats and quinoa, which makes it much higher in terms of fibre and protein content, compared to other granola cereal. We recommend it for those who want various vitamins and minerals as well, as it contains flax-seed powder for omega-3, hazelnut for vitamins B and E, and cinnamon for antioxidants. 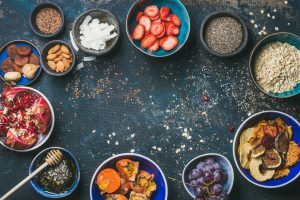 Despite all these healthy ingredients though, it does include honey and dark chocolate, which are both healthy in small amounts, but since it is unclear what ingredients have been used in what amount, it is hard to judge whether this granola is truly healthy. It is also quite an expensive product as you only get 400 grams in one pack. We recommend this granola to those with a sweet tooth, who want a breakfast cereal or snack that is delicious and not too unhealthy. This granola contains nutrient-rich ingredients like walnuts, almonds, sunflower seeds, pumpkin seeds, and chia seeds, so it would definitely be much more nutritious than other snacks or cereal. 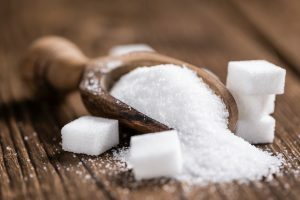 However, it isn’t the best option for those who want to lose weight and need something free of sugar and oils, because it contains three types of sugar – maple syrup, honey, and brown sugar, as well as saturated fats due to the canola oil and butter in it. It’s also not for those who want economical options, as this pack is small and expensive. Since this granola only uses coconut oil and would be perfect for those who want to avoid saturated fats. We recommend this for those who like slightly sweeter granola with lots of nuts like almonds and walnuts; dried fruit like dates, blueberries, cranberries; and seeds like flax, watermelon, sunflower and pumpkin. 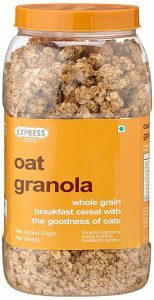 On the downside though, this granola is really pricey as you only get 300 grams for ₹500, and if you’re planning to eat it regularly, then you’ll run out of it pretty quickly. It is also not the right type of granola for those who want to lose weight as it contains two types of natural sugars – date syrup and honey, so it’s a bit high in calories. 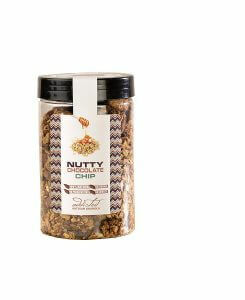 If you love having lots of dried fruits in your granola, then you will love this one! Aside from oats, this granola contains a lot of nuts and seeds like almonds, flax seeds, sesame seeds, and melon seeds; dried fruit like pineapple, papaya, and raisins; as well as spices like ginger, nutmeg, and cinnamon, so you can get various nutrients. Although, this is not recommended for those who are trying to decrease their calorie intake, as it has various sugars, such as white sugar, banana puree, and honey. It is also more on the expensive side, so if you’re just testing granola out for the first time, then it would be better to go for a cheaper, smaller option. This granola is recommended for those who want to buy a big 1 kg pack for an affordable price. 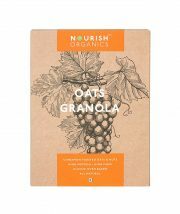 It includes 70% oats, and it has a strong cinnamon flavour, so if you’re a fan of that, then you’ll love this granola. It goes particularly well with cold milk or yoghurt, and you do not need to add any extra sugar either as it is sweet enough. However, it does not contain any dried fruits or nuts, so it won’t provide you with as many vitamins and minerals. Furthermore, it contains honey and vegetable oil, which increases the number of calories and saturated fats in this granola, and therefore, it is not the right type for those who want to lose weight or eat healthier. 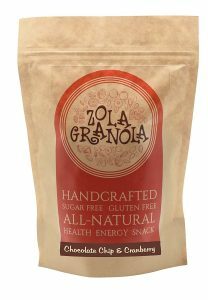 If you’re a fan of dark chocolate in granola, then this is the perfect product for you! In addition, to the dark chocolate, it contains nuts like seeds like flax seeds, almonds and walnuts, spices such as cinnamon, sweeteners like banana and honey, and healthy oils such as olive oil. It is also one of the few granola which is crunchy but not dry. It is not recommended for those who’re on a tight budget, as this is quite an expensive pack, and it might run out quite fast. It is also not the best option for those who are trying to lose weight as this granola not only has sweeteners, but also dark chocolate, which would make it quite high in terms of the calories. 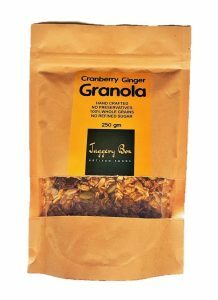 This granola is flavoured with both cinnamon and vanilla, so if you’re a fan of those two ingredients, then this would be perfect for you! The amount of dried fruits and nuts like coconut, almonds, cashew nuts, and raisins is really high, and it uses brown sugar and honey as sweeteners. It goes incredibly well with yoghurt in particular. Although it does have any unhealthy oils, it does use two kinds of sweeteners, and the amount of these is not mentioned, so it is hard to say if it is truly healthy. Additionally, this only has about 300 grams of granola, so if you’re planning to share it with a lot of people, then you must keep in mind that it will not last for long. This is a great option for those who want a highly nutritious option with nuts like almonds and walnuts, seeds like pumpkin, sunflower, and flax seeds; dried fruits like coconut and cranberries; and spices like ginger. 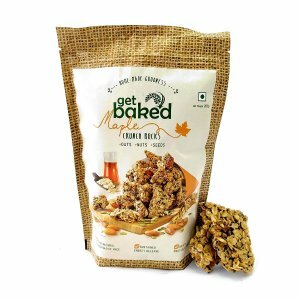 This granola contains no unhealthy oils and minimal amounts of sugars as it uses coconut oil and jaggery. It is also not too expensive as you get 250 grams for 250 rupees, and you only need to eat a little bit of this every day as despite being seemingly light, it still fills you up. Since it has no processed ingredients, it is great for your health too, and with the perfect amount of sweetness, it is also quite delicious. 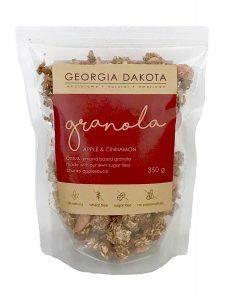 Those who love apples, and want an apple flavoured granola, should choose this one! This granola does not contain any added sugars and gets its sweetness from the apples. It also contains nuts likes almonds and walnuts, spices like cinnamon, and as well as coconut oil. This granola is not only healthy, but delicious as well, and many people rave about its freshness. Due to the low amount of sugar, it is recommended for those who need a snack to eat even when they’re on a diet. Although it seems quite expensive, the quality of this product definitely makes up for it. 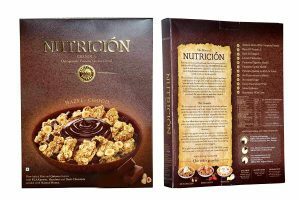 The healthiest granola on the market, it contains no oil, and only natural sugars from the dried fruits like figs, dates, black currants, raisins, as well as nuts such as almonds, walnuts, and cashew nuts, and seeds like flax and sunflower seeds. It’s one of the few options that does not taste overly sweet and is not high in calories. Although it is not the most delicious granola, it is definitely one of the healthiest and will give you enough energy to get through the day. It is also quite an inexpensive purchase as you get 900 grams for 595 rupees, and will last for a month or two. We recommend soaking it in milk overnight, in order to make it easier to chew. Granola is quite nutritious on its own, but you can take it to the next level and increase its nutrition quotient even more by adding either milk, soy milk, or yoghurt to it. Eating granola with milk is the most common way, and with this method, you can add calcium to the list of ingredients you can intake with granola. 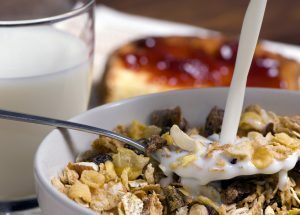 However, you must keep in mind that milk is usually quite high in fat, so if you choose a granola which is high in fat too, then it won’t be too healthy anymore. Soy milk cannot only supplement lipid intake but also increase the amount of protein in your daily diet. 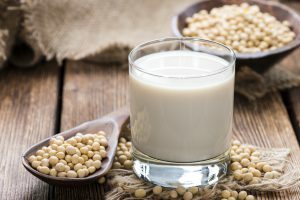 Soybean, from which soy milk is created, contains isoflavone and vitamin C, which helps with collagen formation, and this helps to keep the skin healthy. There are a lot of people who do like the taste of soy milk, but having it with granola would make it easier as granola has its own distinct and strong flavour. Having granola with soy milk every day might help you to slowly develop a taste for it as well. Yoghurt is less watery than milk or soy milk, so you can enjoy the crunchy texture of granola. This combo is not only good for breakfast but also as a snack, to briefly pacify your hunger when you start feeling peckish in the afternoon or evening. Although most granola comes with dried fruits, you can always take it up a notch, and add fresh fruits to your bowl of granola. This works especially well if you’ve soaked the granola overnight, or if you’re having it with yoghurt. This would also allow you to personalise your granola bowls every time and choose the flavour based on your mood. The right type of granola has a high nutritional value and is often quite delicious as well. 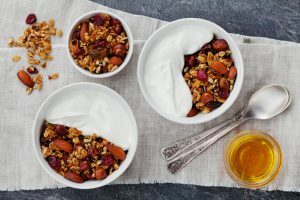 It may seem like the differences lie only in the flavours, but as we’ve discussed in the article, depending on the ingredients, granola can be quite different from one another. We hope you were able to learn how you can choose the best granola for yourself, and we also hope that our list of top 10 best granola in India helped you find the most suitable one to meet your needs.